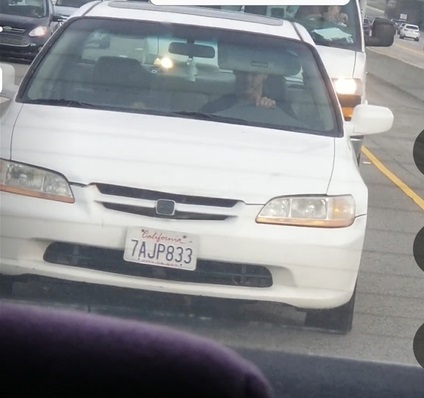 Event Description: Driver in carpool lane infront of us, tried to cross yellow lines into another car, stops and pulls back behind our car and throws a rock at windshield causing damage. Then tails our car closely for 8 miles. You get the best pictures!